Playgrounds are Mamma's favourite! Let the kids run free to explore their environment, take risks and get active. Even better when the playspace caters for a number of ages, plus has a gate from the road. Leigh Park is a winner for the wee ones and the less wee-ones! Classic features of slides, bridges, balancing steps, giant swings and a seesaw. Add to the mix an updated shop front complete with a calculator to process all of your tan bark orders. Then of course there is a mini play section with a short little swing - super cute for the babies! There is HEAPS of green space nearby, perfect for kicking the footy and flying a kite. Over the way it looks like there are clubrooms too, so toilets might be open on game days, or if they can hold on, just up the road in the village shops. 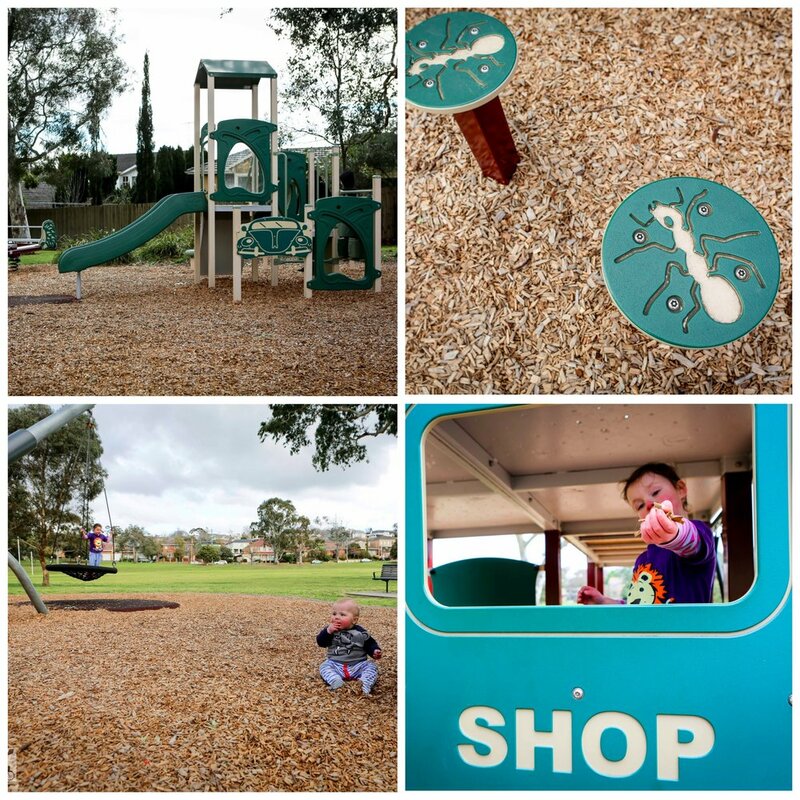 Mamma’s special mentions: Mamma loved having this place nearby to enjoy a picnic lunch after spending the morning getting all messy at The Messy Shed!